The site of Saturday afternoon's explosion in Centreville. 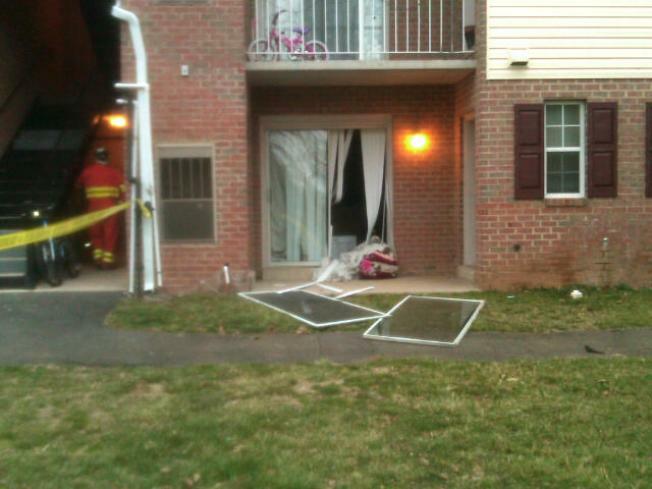 Two buildings were evacuated in Centreville Saturday afternoon after a cooking stove exploded inside an apartment. Sources tell News4 that the explosion happened at around 4 p.m. in an apartment in the rear of the building on the 14900 block of Rydell Road. Investigators say an electric stove rear burner was left on in the apartment. The heat from the stove overheated a butane cooking stove that was nearby, producing the explosion, according to investigators. Investigators say that the explosion blew out the sliding glass door of the apartment, but no injuries were reported and no one was inside the unit at the time. The incident prompted the evacuation of the building where the explosion took place, as well as an adjoining building.